The triumph of uprightness over evil, good over bad and honesty over corruption – always make for a fascinating story and effective engagement. 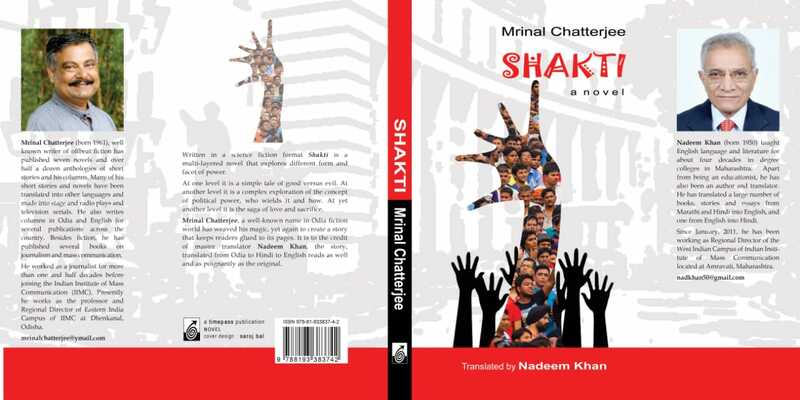 This is the underlying theme of Shakti, a short novel by author Mrinal Chaterjee that weaves several smaller narratives to convey the absolute power of authority, greed, depravity verses honest rebellion, generosity and rectitude. Though set in kingdom ruled by a vile king with his retinue of corrupt ministers and staff, Shakti could be the story of any modern day occurrence. The protagonist is Dr Biplap Roy, a brilliant and dedicated scientist, also an honest do-gooder who discovers a machine that traps sounds to convert it to sound energy. Coming from a poverty-stricken, humble background and haunted by the death of his mother, Dr Roy burns with a desire to create something help the poor. He fulfils his dream with his invention and a thrilled and jubilant, Dr. Roy wants to use his invention for the common good, for the underprivileged and for the development of his country. But His Highness, King Vikram Singh, the autocratic and despicable monarch of the nation and his step brother and minister Lalsaheb Duhshaasan Singh have other plans. What follows is a series of events at the behest of the King resulting in the arrest of the Scientist and a diktat to the citizens not to produce any sounds in order to usurp Dr Roy’s precious invention. Unable to endure the monarch’s cruel and despotic ways, the citizens rise in rebellion. The novel is replete with interesting characters from the willy personal assistants to the near romantic interest of Dr. Roy. One can almost visualise Nidhiram Patnaik, Mr. Priyanath Pati and Sunanda from the way their characters have been knitted with their typical idiosyncrasies. Dr. Roy’s excitement over his creation and the outpourings of love towards it lend dashes of humour and so does the manners of the other personalities. The characters stand out for their detailed description and characterisation. Shakti, that symbolises power, energy and potential is depicted in various forms throughout the novel. The author does a creditable job of keeping the pace of the story taut, tickling the reader’s curiosity. Originally an Odia novel, Shakti has been translated to English by Nadeem Khan who accomplishes the difficult task of delicately balancing the language with the narration keeping the nuances intact. An engrossing read on the whole. Elisa Pattnaik, a former journalist who has worked with several national English newspapers is an avid book lover. Presently is working with Ernst and Young in development sector.